Premium hatchbacks are all about features and creature comforts. But not all of these cars offer good value for money and some command a more premium price tag than its equipment list can justify. CarToq picks the top three premium petrol hatchbacks that offer maximum features for minimum price. If you are in the market looking for a value for money premium hatchback with maximum features, here are the options for you. The Figo is the most affordable premium hatchback as it comes with dual airbags, ABS with EBD, fog lamps, music system, Bluetooth connectivity, and tachometer and rear defogger with auto cut-off. The Figo is powered by a 1.2-litre petrol motor that puts out 70 Bhp of power and returns a claimed mileage of 15.61 Kmpl. The performance of Figo petrol is mediocre, but is sufficient to handle daily chores in city traffic. 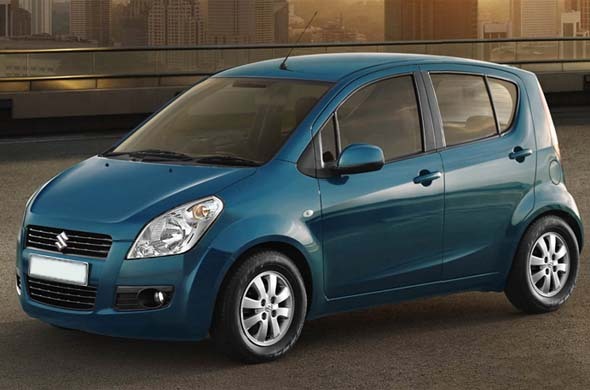 The Ritz petrol is powered by a 1.2-litre engine that puts out 84 Bhp of power and returns a claimed mileage of 17.7 Kmpl. The Ritz engine is refined producing adequate power and torque even at low revs making city commutes easy. The Micra XV is Rs. 35,000 more than the Ritz ZXI, but Rs. 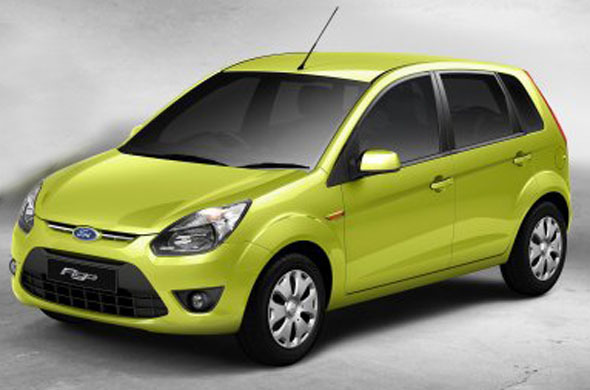 55,000 more than the Figo Titanium (Rs. 4.96 lakh). Though a bit pricey, the Micra XV comes with interesting features such as engine push button start, driver side front window with autodown and anti-pinch function, electric park and fold mirrors, ABS, alloy wheels and two airbags. 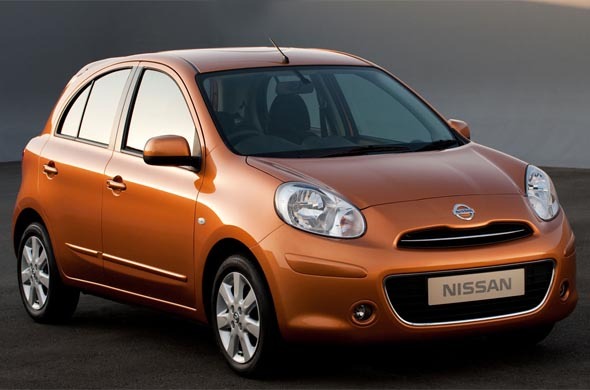 The Micra is a cute-looking car with retro design theme. The car is easy to maneuver in city traffic conditions has good quality interiors and has a practical boot of 251 litres. The Micra is powered by a 1.2-litre, 3-cylinder petrol engine that makes 75 Bhp of power and returns a claimed mileage of 18.06 Kmpl. The engine performance is adequate for city traffic conditions, but feels rough when revved hard and when driven at three digit speeds. If you have a Rs. 5 lakh budget and want maximum features for the price, you can choose one among the top three premium petrol hatchbacks: Ford Figo Titanium, Maruti Suzuki Ritz ZXI and the Nissan Micra XV. One car that makes it close in this list it the Honda Brio V MT, priced at Rs. 5.3 lakh. However, the Brio does not offer as many comfort and convenience features, although it has safety features. Cars such as the Swift, i20, Jazz, Fabia and Polo demand a premium price tag for the fully loaded top-end variants and hence could not make into the top three cars list. « Do you really need underbody coating and Teflon for your car?